I adore the pastel icing colors! 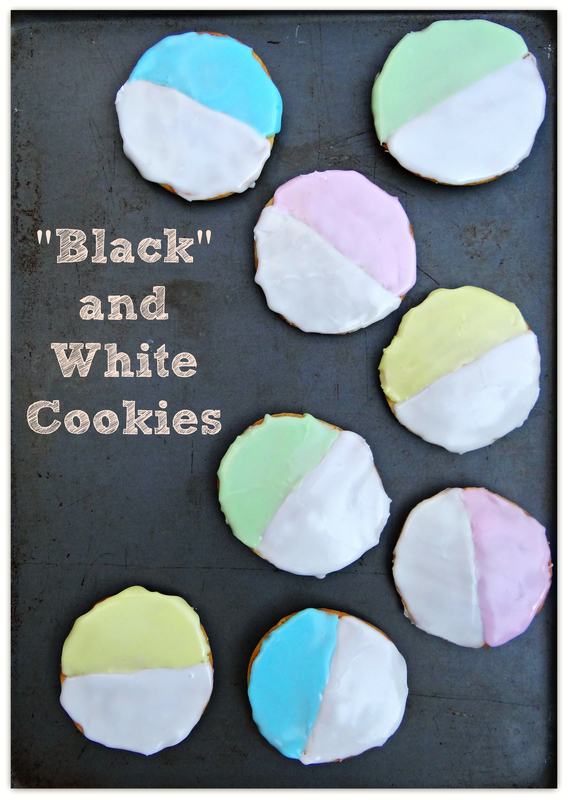 What a scrumptious take on the classic Black & White cookie! In my neck of the woods we call these half moons. Either way they are delicious! I’ll have to give this recipe a try. In my case you can never have too many food related magazines! These look super cute! !